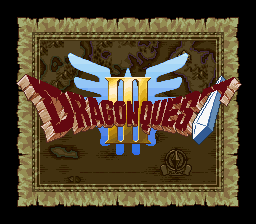 Dragon Quest III received a Super Famicom remake in 1996, 8 years after it’s original Famicom release. 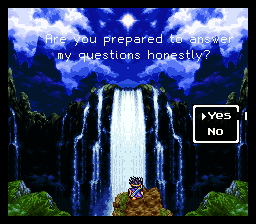 This remake brings the game’s presentation in league with Dragon Quest VI and stands as the most loved and cherished version of Dragon Quest III to date. This patch is from an ages-ago collaboration between Antiriad (j3d!) and Drayman Darklight, neither of whom are a part of DeJap anymore. 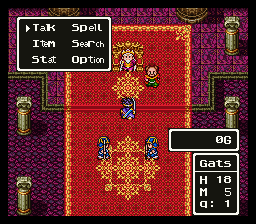 The game’s mostly complete up until you fight Kandar in Shanpane Tower (the script being almost entirely lifted from the NES version). 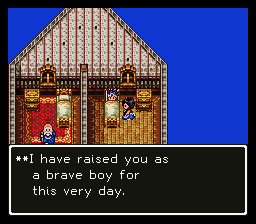 Naturally, SNES-specific events (like the character creation scene at the beginning) are not done at all.